Casa Pop, an off-shoot of Raseel Gujral's brand Casa Paradox, explores new aesthetics in interior design in a fun way. Would you wear a dress made from the threads of silkworms injected with genes from jellyfish? Drama in life should never cease, believes leading interior design specialist, Raseel Gujral Ansal and living up to that mantra is her latest venture, Casa Pop. An off-shoot of her brand Casa Paradox, this new venture explores new aesthetics in interior design in a fun way. “While Casa Paradox defines fine living with a hint of subtle grandeur, Casa Pop has the intent of high voltage living that aims to inject a punch of spice, drama and colour in the lifestyle space,” explains Ansal. With the aim to reach out to a younger, house-proud audience, Casa Pop, which opened in Mumbai last week along with Casa Paradox stocks quirky furniture pieces, soft furnishings, accessories and apparel as well. The latter is a new addition under the title Casa Pop Fashion. “The mood of this brand speaks of a buoyant, young, effervescent and graphic-rich India,” admits Ansal, who was steered in this direction by her daughter, Noor. “It was her initiation to bring Casa Paradox bestsellers and Casa Pop home and fashion into the vibrant Mumbai market. 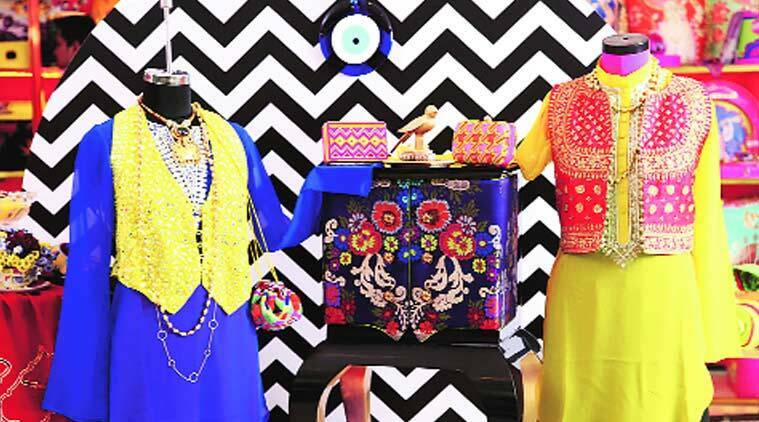 Having studied design from National Institute of Fashion Technology (NIFT) and tenured in-house directly under me as a design director, Noor imbibes the brand ethos completely,” says the proud mum. Casa Pop’s design collaborations are with labels such as Mynah, Swati Uberoi and Dabiri. On offer are embroidered and Swarovski-encrusted stoles, palazzos, silk pashminas and embroidered T-shirts, along with blankets with coordinated hot water bottles, bedspreads and ceramic stools, to list a few. Besides the bespoke in-house collection, Casa Pop Fashion will also house an eclectic mix of design collaborations with brands including Namrata Kumar, Amethyst, Takshila and Tiatro, among others. Accessories and jewellery are also in the mix. Interestingly, the Mumbai venture is the brand’s first launch via the franchise model. “We want to explore the franchise options pan-India and internationally,” says Ansal, who has also launched http://www.casa-pop.com for those who prefer to shop online.